America is on it's knees. Lead the Resistance and wage guerrilla warfare against a superior military force as you fight to reclaim your city and ignite the Revolution. 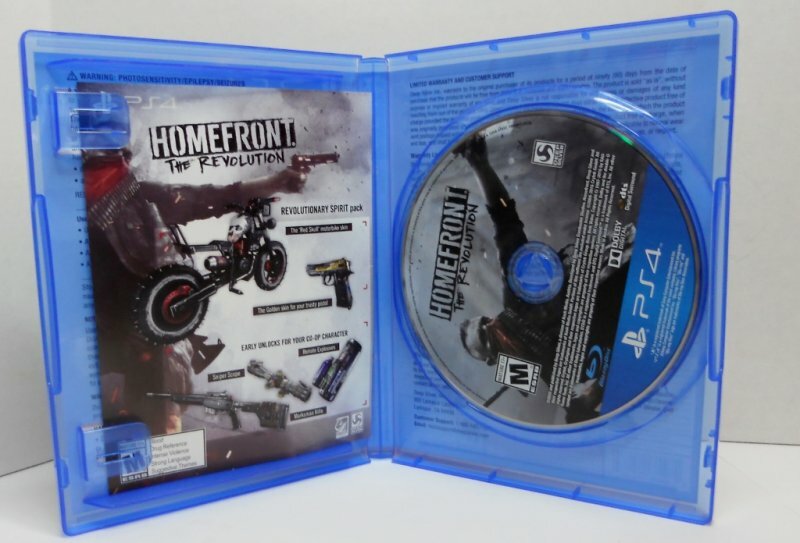 Players engage in guerilla warfare as they shoot their way through an open-world version of Philadelphia in Homefront: The Revolution. 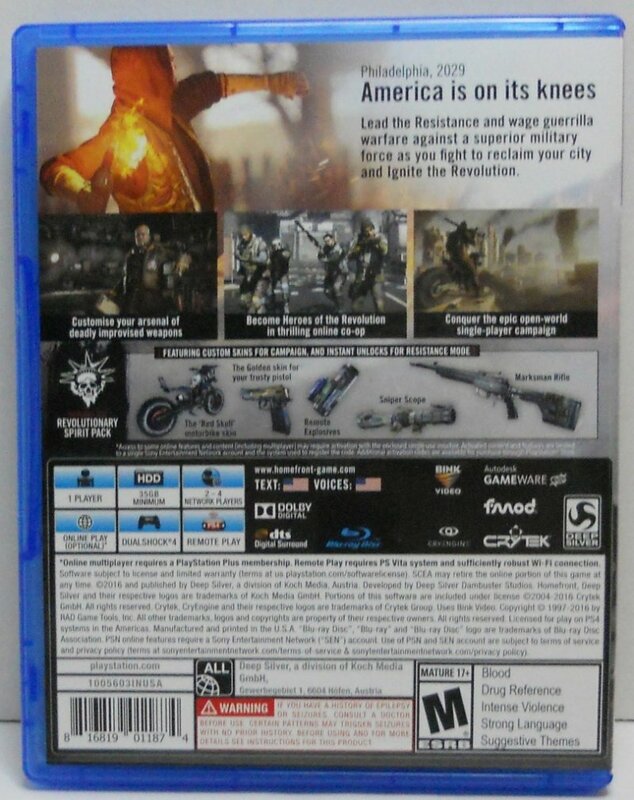 As with the original Homefront, the game takes place in an alternate timeline where a reunited Korea has invaded and occupied large portions of the United States. 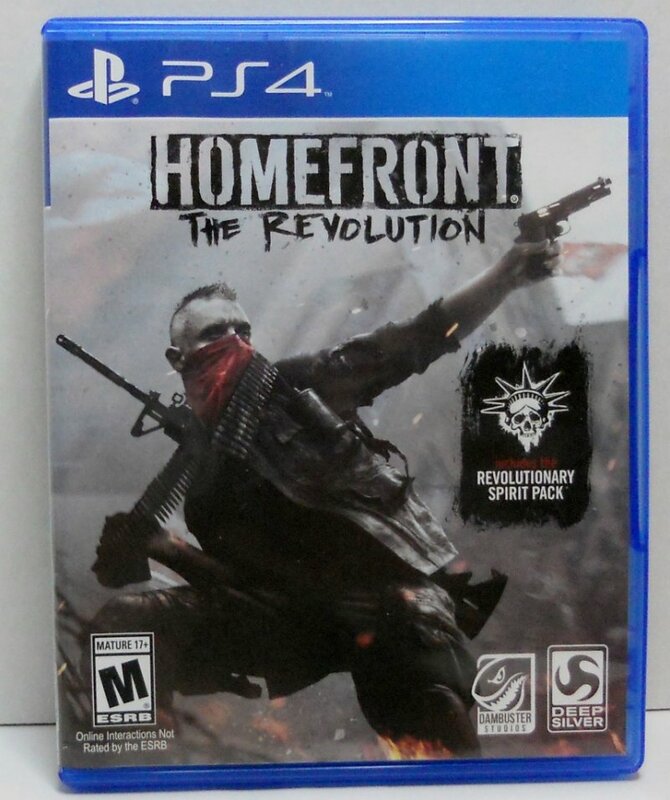 Homefront: The Revolution also includes a separate co-op multiplayer campaign in which four gamers can team up and form their own resistance cell. This Resistance mode functions somewhat like a traditional survival mode, with players battling waves of oncoming foes, but it also offers narrative-driven missions and includes unique characters, classes, perks, and progression. Condition:excellent used condition. Comes with original case, insert and disk.